On Wednesday, April 3rd at 8:00 a.m. I’ve been invited to give an updated presentation on school property tax elimination. 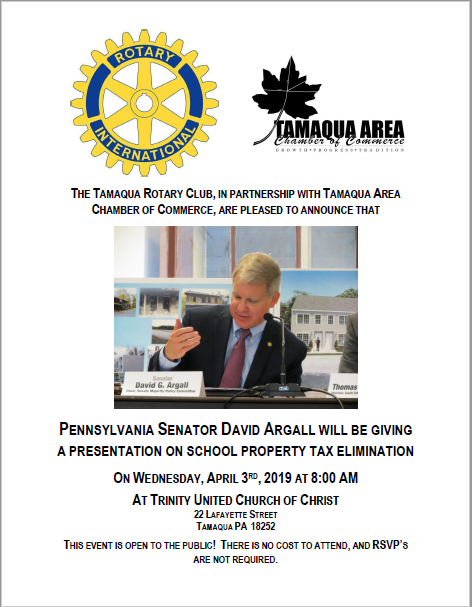 This event is sponsored by the Tamaqua Rotary and the Tamaqua Chamber of Commerce and will be held at the Trinity United Church of Christ, 22 Lafayette Street in Tamaqua. This event is open to the public and free of charge. No RSVP is required and the event is aimed to help answer any and all questions regarding property tax elimination. I know many of you are frustrated by the lack of progress regarding this issue. I’ve said it before and I’ll say it again: I’ve never had more special interest opposition to a bill than this one, which I introduced on behalf of more than 80 different local taxpayer groups across Pennsylvania. Since it was defeated by the last Lt. Governor’s tie-breaking vote in a prior session, many of you have told me not to give up on this issue. That’s why I reintroduced this bill, despite the odds against us. That’s why I’ve agreed to attend this public meeting. Please join us, if you’re interested in hearing the pros and cons of what has become the number one issue in this Senate district. This week, the Commonwealth Financing Authority met to approve two grants in the 29th District. 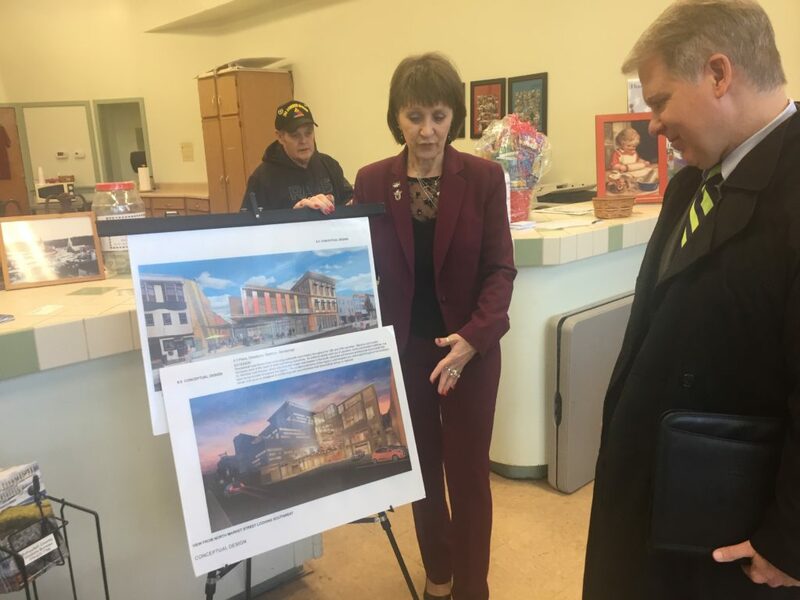 The first grant was a $1 million grant for the Borough of Sinking Spring which will be used for the construction of the eastern half of the Columbia Avenue Extension in the borough. The Sinking Spring Revitalization Program’s goal is to correct two intersections while creating favorable traffic patterns and parking for an improved downtown business district. The second grant was $500,000 for Ashland Borough to add safety improvements along Centre Street in the borough’s central business district. The borough plans to use a portion of the money to install a traffic light with pedestrian controls at Centre and Ninth streets. The current light lacks pedestrian controls. The borough will also replace three blocks of deteriorated sidewalk between Sixth and Ninth streets, along with 1,270 linear feet of curbing. In addition, 14 ramps will be brought up to Americans with Disabilities Act standards. Both of these projects were subject to competition from communities all across the state. I commend the community leaders for seeking out support and receiving these substantial grants. 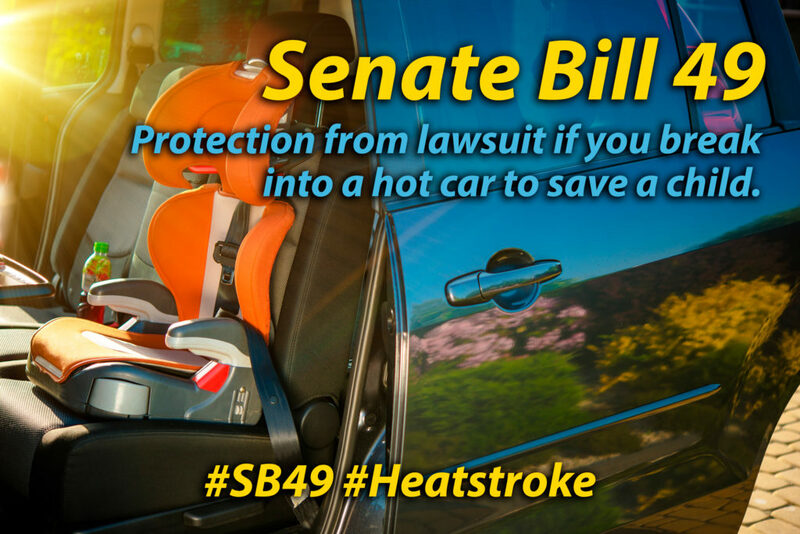 This week, the Senate approved legislation that is intended to save lives by providing immunity to individuals who attempt to rescue children who have been left unattended in hot cars. Senate Bill 49 is named in memory of the 49 children who died last year from vehicular heatstroke. It would extend current “Good Samaritan” laws to a person who breaks a window or forcibly enters a parked and locked vehicle to save an unattended child’s life. The legislation passed 45-0 and is currently in the Judiciary Committee in the House of Representatives. If the bill becomes law, it would bring Pennsylvania in line with 19 other states that give immunity to bystanders who help children locked in hot vehicles. A long-awaited $168 million contract has been awarded to the H&K Group, Inc. from Skippack, PA for the rehabilitation and improvement of Interstate 78 in Greenwich and Maxatawny townships in Berks County and Weisenberg Township in Lehigh County. The project is on I-78 in Berks County from approximately 5.9 miles east of Hamburg to a point at the Berks-Lehigh County line for a length of 7.95 miles and on I-78 in Lehigh County from the Berks-Lehigh County line to approximately 0.8 miles west of Exit 45 (PA 863) for a length of 0.767 miles. Work includes reconstruction of the existing 4 lanes (2 in each direction) consisting of excavation, bituminous pavement, concrete pavement, drainage system improvements, guide rail, fencing, temporary concrete barrier, landscaping, message sign boards, signing, delineators and pavement markings. Also, construction of three drainage culvert extensions, new construction of five precast concrete sound barriers, one retaining wall, replacement of three (3) dual single-span prestressed concrete Bulb-Tee Bridges, one (1) single-span prestressed concrete Bulb-Tee Bridge, two (2) single-span prestressed concrete spread box beam bridges, and other miscellaneous construction work all contained within an overall project length of 8.7 miles. The project also includes adding a third lane (“truck climbing lane”) eastbound and westbound on the hill just east of PA 737. The project is anticipated to be complete in May 2023. This month’s edition of my local TV program focuses on the ongoing revitalization in Shenandoah and Hamburg. Shenandoah, located in Schuylkill County, saw the peak of its population in 1910 when close to 26,000 people lived in the borough. With the decline of thousands of coal jobs in the area, the population of the community today is under 5,000 people. Hamburg, located in Berks County, has never recorded a population of more than 5,000 people, but the community has been steadily rising in population since 1990. These two communities are classic examples of what happened to towns across the region once the railroad and coal industries declined and jobs were lost. Here you have two communities, one in Schuylkill County and one in Berks County, which are working to reverse the trend of outmigration by focusing on efforts to bring in more jobs, recreational opportunities and commerce to the area. The Argall Report is also available on my website at www.SenatorArgall.com. 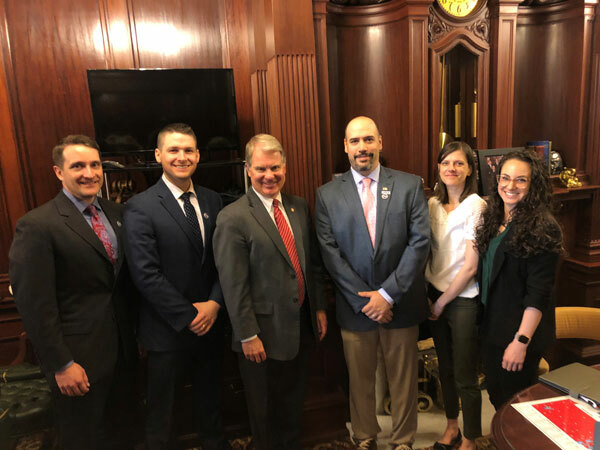 On Tuesday, I had the opportunity to meet with a professor and several students from the 29th district studying to become Certified Registered Nurse Anesthetists. We discussed legislation in the House of Representatives and the Senate that directly affects their profession. As always, if you’re planning a visit to the state capitol, please stop in!